With winter in full effect in the Boston area, many residents are reporting signs of rodents who have found their way inside. The cold weather causes mice and rats to seek warmth and shelter indoors until it gets warmer. Rodents of all types can squeeze through incredibly small openings relative to their body size and will often find a way to sneak into residential and commercial properties to find a home. If you see signs of rats or mice in your Boston area home or business you will have to implement Boston rodent control measures to get the pests removed and prevent their return. 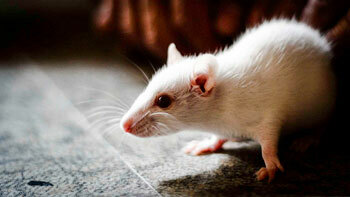 NW Pest Control specializes in Boston rodent control and mice exclusion services. Our expert pest removal technicians have years of experience removing rodent infestations from all types of property. We know how important it is to get a Boston rodent problem exterminated fast and do our best to get any pest control job handled quickly. Both mice and rats are highly destructive guests to have in your home that cause damage that goes much further than meets the eye. Millions of dollars of damage are caused each year to buildings, documents, stored food, and clothing. A rodent’s chewing can damage the structure of a building to the point where it is no longer inhabitable. Rodent infestations are not always easy to eliminate. NW Pest Control has a comprehensive knowledge of mouse habits and knows common areas of a New England home for rodents to call home. Our Boston rodent removal treatment begins with a complete inspection of your property during which we can determine the location of the infestation and any entry points that may exist. Once we have the scope of the Boston pest problem and location of the rodents identified we can begin treatment. NW Pest Control uses effective, low-impact extermination techniques to get rid of rodents. We will choose the best pest control method for your specific needs. We can also help you get rid of rodents for good with our expert New England mouse-proofing service. Mouse-proofing involves a thorough inspection of the exterior of your home to identify any openings that rodents may be able to get in through. We will then seal all the openings, allowing for one with a one-way exit so any mice who are already in can get out, making the need for further mice extermination unlikely. Some methods we use for rodent exclusion are installing sheet metal barriers, door sweeps, and thresholds as well as caulking and screening any openings. You won’t need to worry about finding a rodent in your home ever again after getting expert Boston rodent control service from NW Pest Control.